Cooking in someone else's kitchen: At last! That is a beautiful cauliflower! Your dried beans are pretty too. I am growing beans for drying for the first time this year and am unsure about when to harvest them. Hope they come out as nice as yours! 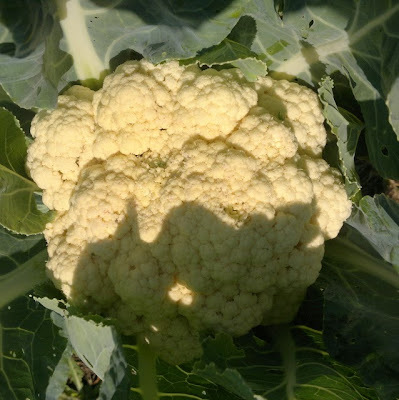 I've yet to plant a cauliflower, but yours is beautiful! Congrats on a great harvest! That is really gorgeous cauliflower! and beans are so pretty on the vine.